As you are specifically prompted for each Harry Potter character below, can you pick the exact word that doesn't belong in that quote? There is only one incorrect "decoy" word in each quote. Click on it precisely. Remember, only click within the quote for the specific speaker being prompted. Clicks in other quotes will be marked incorrect. 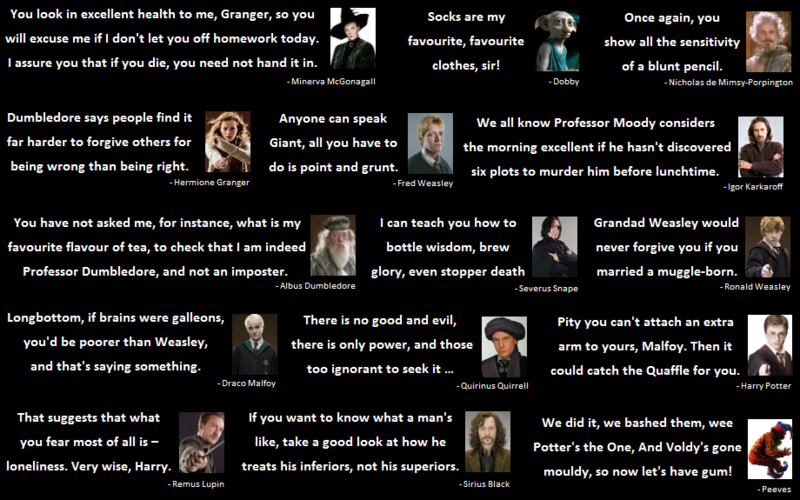 All quotes are taken from the UK version of the books.